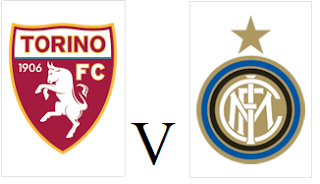 Torino face Inter on Sunday afternoon looking to achieve a third successive victory to keep their slight Europa League hopes on track. Toro will be without the suspended Tomas Rincon so Afriyie Acquah should deputise whilst Nicolas N'Koulou could replace Kevin Bonifazi in the back three. Inter are unbeaten in their last five and are hoping for a positive result to ensure qualification for next season's Champions League.